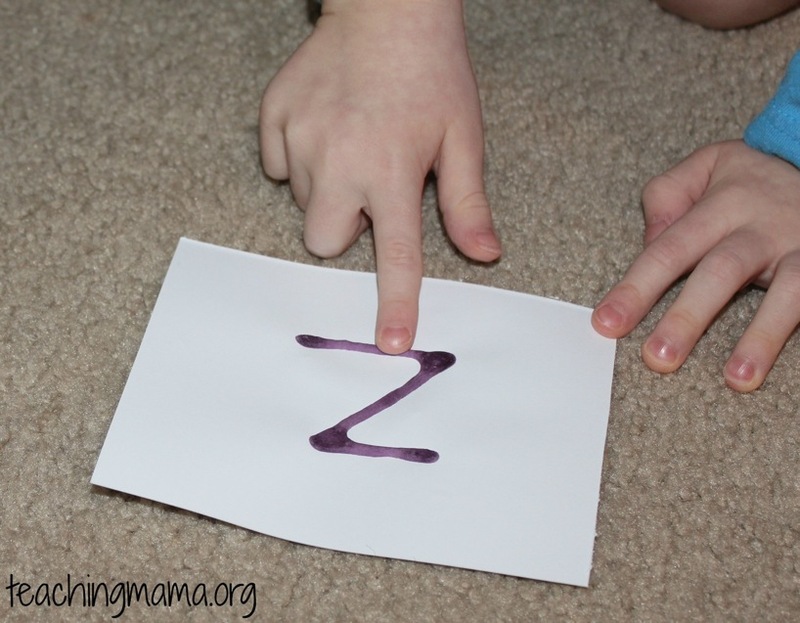 Tactile letter cards are an amazing way to help kids explore the alphabet. 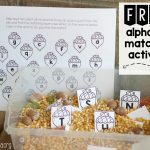 Tactile means connecting with the sense of touch, so these alphabet cards are designed for kids to explore the alphabet using their fingers. When they trace the letters, they are learning the strokes and shape of the letter to prepare them for writing letters in the future. 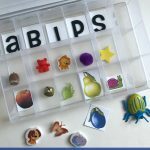 It’s a great sensory activity as well. I decided to make lowercase letter cards, since my preschooler needs more practice with lowercase. 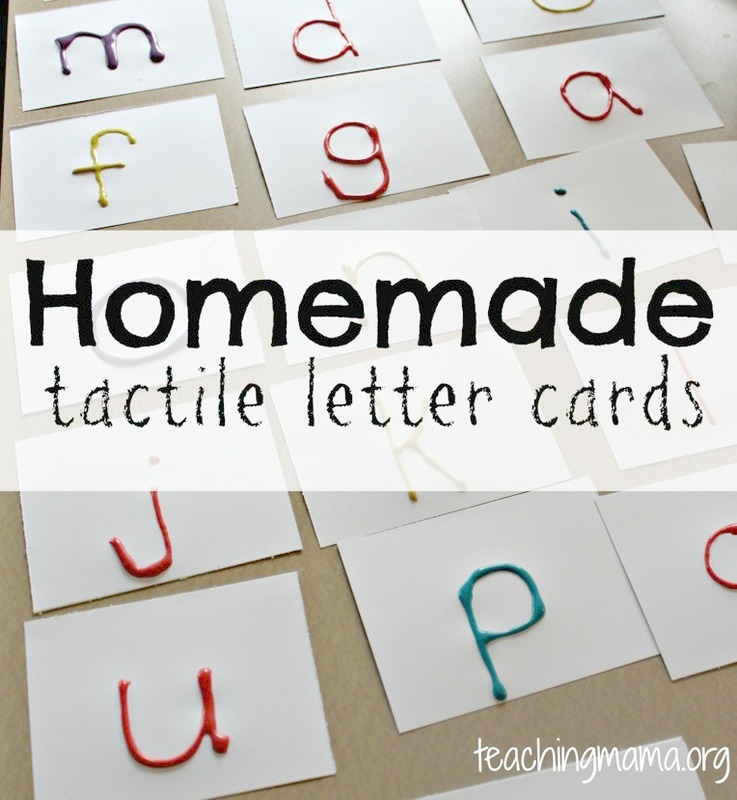 To make these tactile letter cards, I used this puffy paint we made last week. I simply cut card stock paper into 26 cards, then I wrote lowercase letters using puffy paint on them. Next, I put the cards into the microwave (2 at a time) and microwaved them for 20 seconds. Then the paint was dry! You could also let them dry overnight. To keep the cards from curling on the edges, I stacked them and place a heavy book on top. 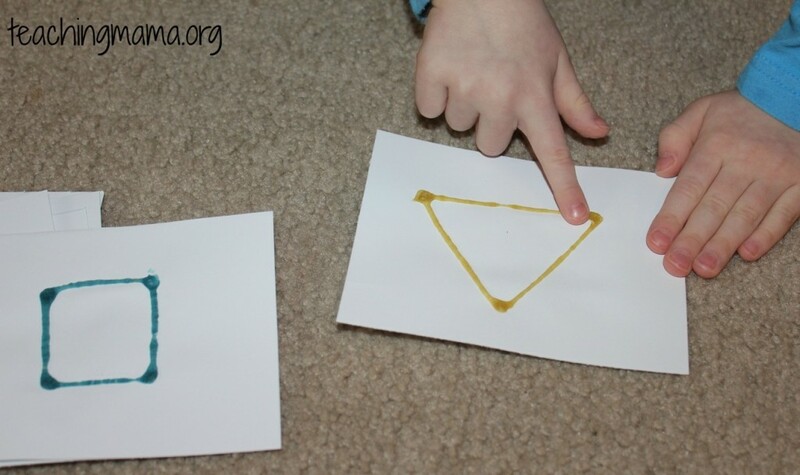 After they were dry, we practiced tracing the letters with our fingers. 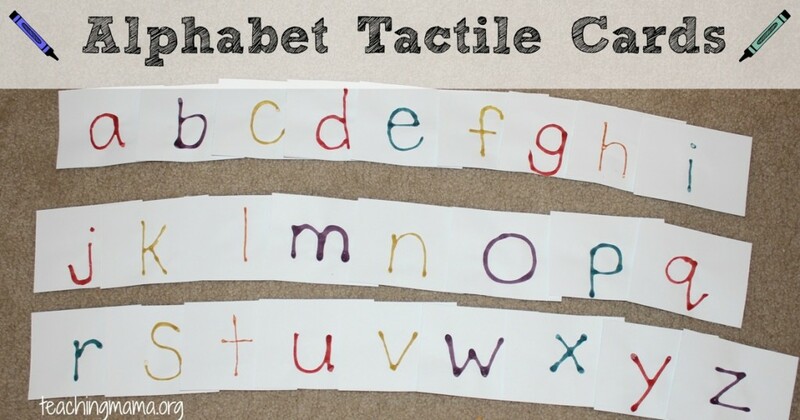 It is similar to using sandpaper letters, like I talked about in this post. 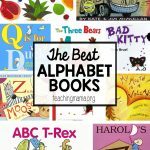 My goal is to use have my 4-year-old practice tracing the letters with his fingers at least once during our preschool time each week. 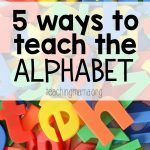 This will help with letter recognition and learning the strokes of the shape. 1. What is this shape? 2. How many sides does this shape have? 3. How many points does this this shape have? These questions help my preschooler notice attributes about shapes so he can recognize them in the future. These cards were extremely easy and almost free to make!! I love the sandpaper letters we have, but these are just as great. 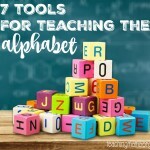 I highly recommend using them with little ones! 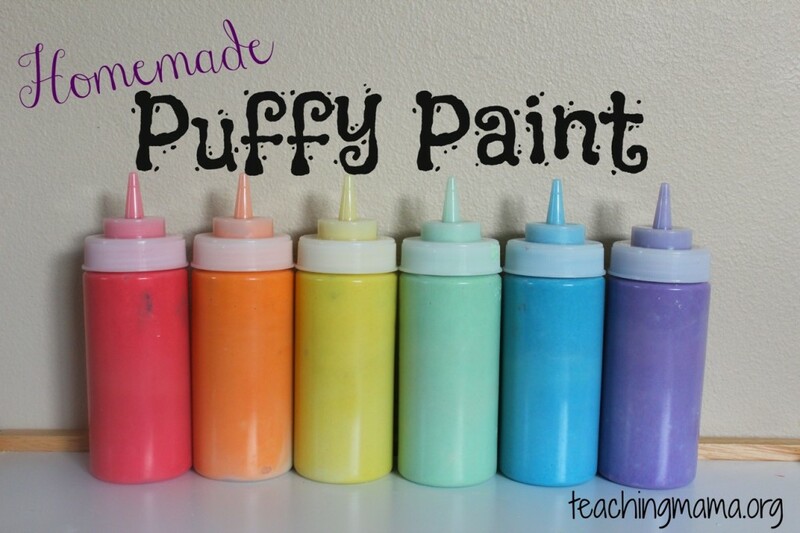 Do you think it might work to add something like fine sand to the puffy paint to give more of a sandpaper letter feel? Oooh that is an excellent idea! Will have to try that next time! I tried it with glitters it looks nice. How do you store them so the one card doesn’t stick to the other card. I am going to travel on a plane, how do I pack them? After they dry, they shouldn’t stick to each other. Make sure they air dry for a few days.